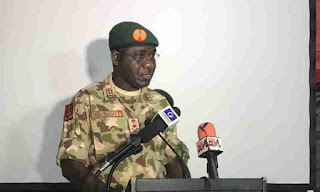 The chief of army staff, Tukur Buratai, says the Nigerian Army will replicate the successes it recorded in the Osun and Ekiti elections in the 2019 elections. Speaking at the 2018 COAS Annual Conference in Maiduguri on Wednesday, the Army chief said the army has launched operation safe conduct to secure the electoral process in 2019. His words: “As the nation moves towards the 2019 General Elections, the NA is conducting Operation SAFE CONDUCT to support other security agencies during the period of elections in the country,” Buratai said. The Army chief also enjoined military personnel to refrain from partisan politics at all levels, as the general elections draw nearer.